Craig, Channel radio England. "I'm loving it. 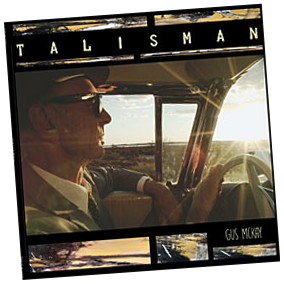 Wonderful Album, so much more than just the blues"
Talisman is now Gus McKay's fifth album, and when comparing his previous albums with the latter, he has definitely taken a new road. The base is still roots and blues mixed with a form of Americana, but he goes on this album towards alt-jazz and psychedelic by adding strings, tenor sax and trumpet and a range of other instruments. He has created a very distinctive atmosphere with his music and sounds: indeed psychedelic, a strange kind of dream, always surprising. Thanks for dropping by... Wherever you hail from, Welcome. Am currently promoting "Talisman" on Radio and media in Europe and the UK, with the promise, of touring there in 2018. The new release is a venture into,a '"slightly" jazz area, but still with a dusty backdrop,and the familiar sparse sound, uncluttered soundscape. 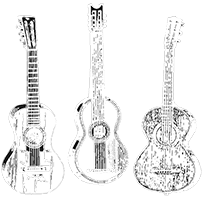 Check out the "Discography" page for Gus's CD list and sample tracks from the two most recent ones.